Greetings food lovers! Hope you all survived the holidays and are keeping up with at least some of your new year's resolutions. Here's my first Bits and Bites of 2015. The year has started out on a very good note for yours truly: South Austin Foodie has been named one of the top 10 best food blogs by the Austin Chronicle for the second year running. THANK YOU, Kate Thornberry and AusChron for the distinction; I am honored to be mentioned with this group of excellent bloggers, and will point out that my blog is really the only one of the bunch that posts regular restaurant reviews. -- Indie Chefs Week has started at Foreign + Domestic with up and coming chefs from across the country coming together to cook in pop-up dinners. Check their website, but I believe they are already sold out. -- Casa Brasil Coffee and South Austin Brewery are holding their Up + Down tours of their respective facilities, where you can get an in depth look at their raw materials, production, and tastings. Two upcoming dates: January 10th and February 7th, 10 am - 2 pm, $35/person; to register go here. -- The Hightower will be hosting a bloody mary brunch on January 11th; for $5, diners can create their own drink with Dickel Corn Whiskey, and proceeds benefit the Flatwater Foundation, which provides support for families with cancer. -- Lenoir and Jester King Brewery are holding a 5 course dinner on January 15th, $95/person. 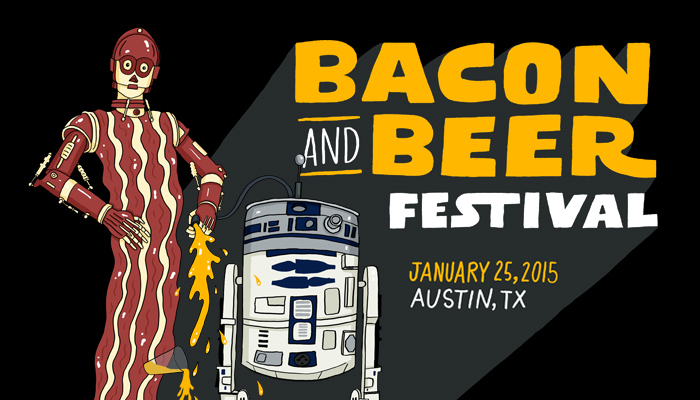 -- The second annual Bacon and Beer Fest, hosted by Edible Austin will be Sunday, January 25th at Fair Market (1100 E. 5th St.) from 2:30 - 5 pm. Tickets are $45, and serves as a fundraiser for the Capital Area Food Bank. Thirty area restaurants (including Barley Swine, Cafe Josie, Frank, Jack Allen's, Noble Sandwich and Snack Bar to name a few) and 12 local craft breweries (Austin Beerworks, Pedernales, St. Arnold.....) will be on hand. I don't know much about this new venue, Fair Market, but it looks gorgeous. Get your tickets, this one is sure to sell out fast! -- The 9th Annual Jo's Chili Cook-off will be February 1st at their South Congress location. $20 to try all the chili contest submissions! The event benefits the 100 Club, which raises money for the families of fallen firefighters and law enforcement officers. -- Irene's, the latest from the ELM Restaurant Group (Easy Tiger, Arro, 24 Diner) will open at 506 West Avenue in April. -- In the job openings department, Dinner Lab is searching for a local Brand Ambassador. -- Kebabalicious has new menu offerings as well as a new catering truck. Check out the full menu at the brick and mortar at 7th and Navasota; the two trucks will offer some of the new items. -- The humongous new JW Marriott hotel downtown (on Congress between 2nd & 3rd) will be the largest Marriott in the US with over 1,000 rooms across 34 floors when it opens February 13th. Three new restaurants will be a part of the hotel: Osteria Pronto (regional Italian), Corner (Texas food and tequila bar), and Burger Bar, a walk-up window.